Looking for Used Cars for Sale? Come Visit Budds’ BMW Hamilton! We all admittedly confess that our country continues to embrace the independent spirit on which it was founded in many ways. One obvious sign of it is the number of automobiles on the road. Every individual owns an auto or even two and appears to be in a hurry to reach somewhere. With all those vehicles on the road, there is constant buying and selling of cars taking place. But which one is the best? At Budds’ BMW in Hamilton, we strongly believe that you are looking for a combination of power and luxury. And that is why we strongly recommend that you come check out our wide selection of used BMW cars at our Hamilton Dealership. 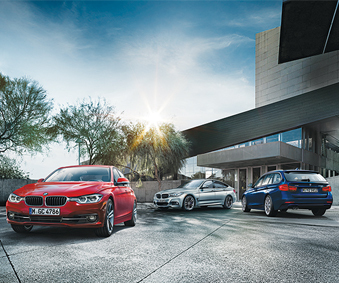 The 5 series has several different versions that you can choose from. Let’s take a closer look at the BMW 5 series models from 2008. In the year 2008 the BMW 528i had 230 horsepower and a 3.0-litre engine. The 535i had a 300 horsepower and 3.0-litre engine and both these models are all-wheel drive. The 550i is actually the fastest out of all of them, it is in fact a V8, 4.8-litre engine. There is also a unique 5 series with the M package; this is just a part of BMW’s M-series and this vehicle can move! The M-5 really looks like any other 5 series except for what is under the hood, it has V10 engine, a 5.0-litre, and produces up to 500 horsepower. BMW 3 series is the German automakers joy and pride, this is actually their best-selling car and when you eventually take one out to test drive, you can clearly understand why. The BMW used cars like the 3 series models are a luxury sedan that truly has a “Formula One” feel to it. It really is a car that has both luxury and racing written all over it. This 4 door model is without doubt the BMW’s entry into the luxury sedan market place. There are many different 3 series models to select from, one of their most popular models is the 328i. We have taken a closer look at this BMW from 2002 and realized that it has a 2.8-litre, 193 horsepower with a six-cylinder engine. We also managed to find fuel info for the BMW 328i; it actually had a 7.2-litre, for every 100km, for highway driving and an 11.3-litre for every100km, for city driving. So, are you looking for a used BMW? Budds’ BMW in Hamilton offers a wide variety of BMW cars for you to choose from!